Hey guys, it been a hot minute since I got a post up on here. Don't worry, I've not gone anywhere I've just been mega busy with university work this trimester. But since the academic year is winding down now, it's time to get back into blogging! With that being said, today I'm bringing you my everyday make-up routine, and what products are my go-to's! My everyday make-up routine is for me quite basic because for the most part, it's usually just for going to university or running into town to run errands. Glam looks are usually kept for events, days out and special occasions! On an everyday basis, I tend not to wear primer since I only need my make up to last a short while, so I usually go straight in with my current foundation which is the Tarte Shape Tape matte foundation. I was so pumped about this foundation when I hear it was coming out since I'm a huge fan of their Shape Tape Concealer. I love this foundation a lot and I think it is pretty great for the hype it got. There are a few minor things with it that I would change, like for example the dow foot applicator that lost its novelty after about 3 uses, but a lot of good points too, like it's high coverage! All in all, it's a great foundation, it has high coverage and ant it's pretty long-wearing, and the shade match is good. The only slight drawback would be that it can sometimes be a little drying, and other times its not quite 100% matte. But that being said, a matte foundation is, of course, going to be matte and a tad more drying, so I'm fine with that, and all foundations will get a bit less matte when it's hot outside or your skin is a bit more oily. Little things like that are mostly down personal preference and skin type! With that foundation I've been pairing is one of my new favourite concealers, (though Shape Tape will always be my bae), which is actually the drugstore dupe for Shape Tape, and that is the Revolution Conceal & Define concealer. As far as drugstore concealers go this one is pretty great, it's only £4, the shade match is pretty spot on and it has pretty good coverage. It's not as full coverage as Shape Tape is, but it's really good for the price! It also blends well and it doesn't crease very easily, which is a big bonus in my book. Lastly for the base products is my go to powder, and it has been my go-to powder pretty much since I started wearing make up and that is the L'Oreal Stay Matte finishing powder. I feel like this powder is a staple in pretty much everyone's make up bag at this point. No matter how many high-end powders I've tried (and some of them I've even loved! ), I always find my way back to this tried and tested staple. What's not to love? It's affordable, it's long-wearing, it's not cakey and the product lasts for ages! For eyebrows, I have two go-to products that I swear by and have for a while now. The first is the Benefit Goof Proof Pencil. I love this eyebrow pencil so much and a lot of it is to do with the shape of the actual product because it's in a triangular shape so it's a little bit thicker at the bottom and a bit thinner and more pointed at the top so it's great for filling out the front of the brows (using the thicker end) and feathering out the tail of the brows (using the thinner pointed tip). I wrote a post all about this brow pencil back in 2016, you can find that here if you want to read more about it. I have barely any brow hairs and those I do have are very fair, like my natural hair colour - a light blonde-y brown. So I definitely need a good eyebrow setting gel because if my eyebrows come off since they're mostly drawn on I look ridiculous. For this, my holy grail is the Elf Cosmetics Clear Bow & Lash Mascara. This brow gel is incredible, I can't really find any faults with it. It locks my brows in place all day but it doesn't go clumpy or stiff, it doesn't just fade away, it's long-lasting and it only costs £3! For the price of the product I can't fault it, you don't get a tonne of gel in one container but at £3 for a double-sided product with such good results, I don't mind that at all! On an everyday basis, I only ever tend to wear mascara on my lashes. I curl them using my rose gold curlers and use the Benefit Bad Gal Bang mascara. I love this mascara a lot, and while it's still not knocked my beloved RollerLash off its top spot it's been a favourite of mine lately. It doesn't give any curl to my lashes but it does give them a lot of length and volume. For the lips, I usually opt for a liquid lip most days of the week. I have a range of colours I go between but they often tend to be from the same two brands recently; Kat Von D and Jeffree Star. I know, I know, the irony in that right? Two people who don't get on but I love them both, but I can't help it. They both have incredible liquid lip formulas and shades that are so comfortable and last all day, even after eating and drinking! Dose of Colours also has a really great, comfortable and long-lasting formula in their liquid lips! To set my make up I have two favourite setting sprays that I love. 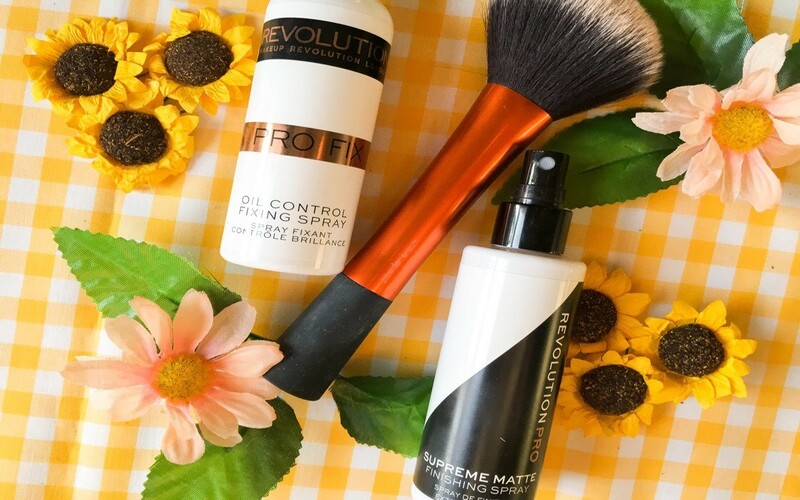 Both of them come from the brand Revolution/Revolution PRO and they are the Supreme Matte Finishing Spray (Revolution PRO) and Pro Fix Oil Controlling Spray (Revolution). The matte spray is great for just that, keeping your make up matte. It doesn't feel heavy on the skin and it really does keep your make up in place. The oil controlling spray is great for keeping oils at bay but still setting your make up. These are both really affordable too for being such high quality products, the matte spray is £6 and the oil controlling spray is only £5! So there you have it, my everyday make up routine! It's a pretty simple routine and it really works for me because it's quite quick to apply and it's not too much of a heavy look. 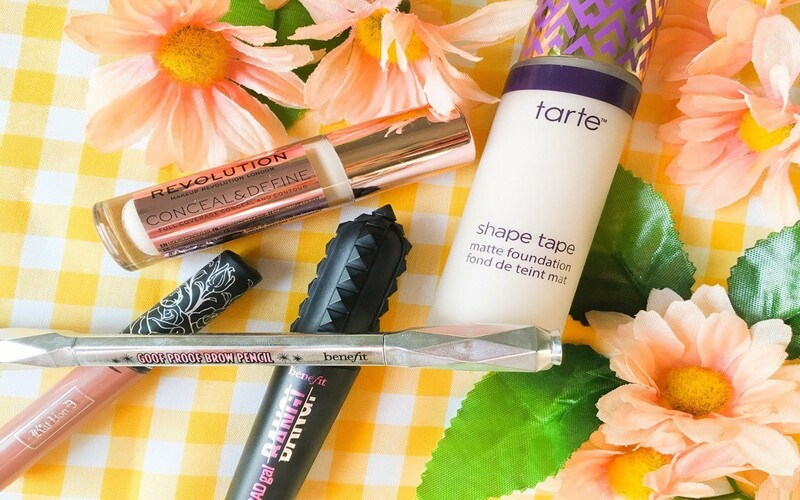 These are products that I use on a daily basis whenever I wear make up so I hope that you've been able to find even one or two new products you might like to try out! What are some products you use on a daily basis? Have you ever tried any of thes products?